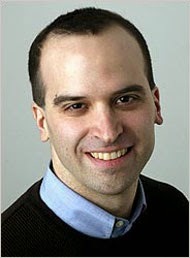 David Leonhardt says it's harder and harder to get into Harvard University: "Frankly, my dear, I don't give a damn!" David Leonhardt wrote an essay in the Sunday issue of the New York Times about how hard it is these days for someone get admitted to an Ivy League college--particularly if the applicant is an American. In 1994, Leonhardt wrote, about 45 college-age Americans out of every 100,000 were attending Harvard. In 2012, that number dropped to just 33 out of every 100,000. At the same time, the number of foreign students attending our nation's most elite institutions is growing. According to Leonhardt, about 10 percent of the student body at many of the nation's most selective colleges are foreigners. Why are our elite institutions admitting more foreign students? Because they can pay the full freight of tuition, room and board without the need for grants or scholarships In other words, foreign students from wealthy families are an important revenue source for America's most prestigious colleges and universities. Leonhardt's essay appeared just a few days after Evan Mandery published an article in the Times deploring the fact that the nation's most elite institutions give admission preferences to the children of their alumni. Mandery said that legacies have a big edge in the admissions process similar to the edge given to African Americans, Hispanics, and varsity athletes. Take together, Leonhardt's essay and Mandery's essay convey a very clear message. If you want to go to an Ivy League college or a handful of other selective institutions it will help you if you are Hispanic, African American, the child of an alumnus, a varsity athlete or a wealthy foreigner. And as Leonhardt pointed out, a "large fraction" of students from all these categories come from high-income families. I could not tell whether Leonhardt was critical of this trend or a supporter. Like so many New York Times op ed essays, Leonhardt's article wallows in cryptic indecision. Leonhardt concludes his essay with these lines: "[T]hese [elite] schools have become a patchwork of diversity--gender, race, religion, and now geography. Underneath the surface, though, that patchwork still has some common threads." I do know that white male Southerners and Midwesterners who come from low-income families have very little chance of being admitted to an Ivy League school. But so what? Why would anyone who grew up living in the real world want to enter a higher education environment in which admission decisions are based--even in part--on race and greed? In my opinion, young people who want to expand their horizons by going to college should skip the elitist institutions--Harvard, Yale, Emory, Brown, etc. etc. Instead, they should consider studying outside the United States. Why not attend college in Monterrey or Guadalajara, for example? Even if the educational experience is unexceptional, Americans studying in Mexico will learn an important second language and immerse themselves in another culture. As it happened, Leonhardt's essay appeared in the same issue of the Times as an article about Elizabeth Warren, a former Harvard Law professor and now U.S. Senator. Warren has been critical of the federal government for regulating the finance industry in a way that favors Wall Street. 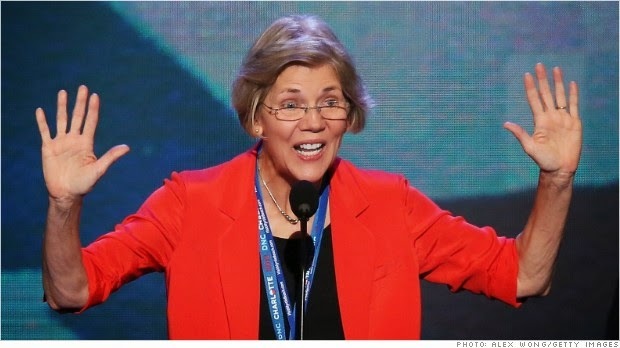 "The game is rigged," Warren was quoted as saying, "and the American people know it." Warren is right of course, but it is not only Wall Street that has rigged the game against the American people. Our elite colleges and universities have rigged the game as well. It is no accident that Lawrence Summers, former president of Harvard, has also been a hedge fund manager and was one of President Obama's top economic advisers. Warren quotes Summers as telling her she could be an outsider or an insider, and Warren obviously portrays herself as an outsider and friend of the little guy. And maybe she is. But we should not forget that Warren advanced herself in the world of academia by portraying herself as being part Native American--specifically a Cherokee--when in fact she almost certainlyis not. And so I repeat my question. Why would anyone want to attend an elite college where a person's advancement can be enhanced by the fact that he or she might have a trace of Native American blood? Yes indeed, Elizabeth. The game is rigged. 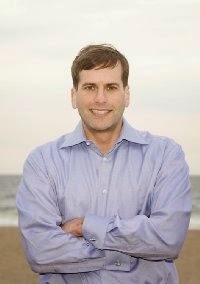 David Leonhardt. Getting Into the Ivies. New York Times, April 27, 2014, Sunday Review Section, p. 1. Gretchen Morgenson. From Outside or Inside, the Deck Looks Stacked. New York Times, April 27, 2014, Sunday Business Section, p. 1.
admissions polices of our elitist colleges. No--Mandery was not talking about affirmative action, whereby colleges give preference to minority applicants when making admissions decisions. He was talking about the special preferences many elitist colleges give to the children of alumni--often called legacies. According to Mandery, the children of alumni have a 45 percent greater chance of admissions at 30 of our nation's most elite colleges than non-legacies. Mandery thinks it is wrong for colleges to favor the children of alumni when making admissions decisions, and I agree. The legacy preferences of our elitists colleges stink. Almost in passing, Mandery acknowledged that our elitist institutions also give admission preferences to racial minorities. In fact, Mandery noted that being a legacy is "the equivalent of 160 additional points on an applicant’s SAT, nearly as much as being a star athlete or African-American or Hispanic." So here is the bottom line. If you want to attend Harvard, Yale, or a couple of dozen other elitist universities, it will help enormously if you are Hispanic, African American, or the child of an alumnus. Like most New York Times essayists, Mandery probably thinks he is a liberal progressive. But his suggestions for ending legacy preferences are about as radical as 1950s era Reader's Digest article. Here are his suggestions: "a huge reform" of the nation's tax structure and "improved access to higher education." My God, Mandery's an anarchist! Mandery's suggested reforms have nothing to do with the rotten and corrupt way our nation's elitist colleges are admitting students. As Mandery admits--these slimy institutions give preferences to their rich alums and to racial minorities. What's more, they brag about it! I suppose laws could be passed to ban these practices, but as Justice Ruth Ginsburg said in her dissenting opinion in Gratz v. Bollinger, our nation's colleges would probably continue giving racial preferences when admitting students even if it were illegal; they would just lie about it. As for me, I think we should kick the elitist colleges and universities out of the federal student loan program and invest this money solely in public universities and public community colleges. I favor letting Harvard, Yale, Dartmouth, Brown, Wesleyan, Smith and all the other private elitist institutions stew in their own postmodern and often racist juices. Let them admit students however they want; just don't give them access to federal student loan money or Pell Grants. Moreover, just as our elitist colleges give special preferences to minorities and the children of their alumni when making admissions decisions, I think the American public should give a special preference to anyone who did not graduate from one of these sleazeball institutions when choosing our nation's leaders. In other words, people who graduate from Harvard or Yale should be penalized in the public mind if they run for president, seek a federal judgeship, or apply for a cabinet post . As everyone knows, our government is now run almost entirely by elitist college graduates, and the Russians are showing them up to be fools. I seldom agree with the New York Times. I live in the real world, and the Times editorial writers and op ed essayists live in the land of gobbledygook. Nevertheless, every now and then the Times makes contact with planet earth and says something sensible. And today is such a day. In an editorial entitled "Reining in Predatory Schools," the Times commended the Obama administration for its attempts to regulate the predatory for-profit trade-school industry that has hurt so many poor and disadvantaged students. The Obama administration seeks to impose reasonable rules on the for-profit trade schools, requiring them to maintain average debt levels for their graduates that don't exceed 8 percent of their total annual earnings. In addition, to remain eligible for student-aid money, the trade schools must keep their student loan default rates at no more than 30 percent. These are good rules, and the Obama administration deserves credit for pushing these rules forward in spite of ferocious opposition from the for-profit college industry, its lobbyists, and the lap-dog legislators who receive receive campaign contributions from the for-profits and do the industry's bidding. But--as the Times noted--the rules do not go far enough. Currently, the for-profits risk being kicked out of the federal student-loan program if their student-loan default rates exceed 25 percent for three consecutive years. As I have pointed out before, the Feds only measure loan defaults during the first three years of a student's repayment period. Any student who defaults after three years is not counted in an institution's default rate. The for-profits have been successful in hiding their true default rates by encouraging their former students to sign up for economic hardship deferments, which excuse students from making their loan payments. In fact, many for-profits have formal "default management" programs that target former students and help them get deferments. Hundreds of thousands of former trade-school students who obtained economic hardship deferments will never pay back their loans and for all practical purposes are in default. The Times is right to say that this problem must be addressed. And just as importantly, the federal government needs to identify all the people who took out federal loans to pay for worthless for-profit training programs-well over a million people--and forgive these loans. Otherwise, all the people who defaulted on these loans will be hounded by their student loan debts for the rest of their lives. As I have said before, these people deserve reasonable access to the bankruptcy courts. I could say more on this topic, but today I simply tip my hat to the Obama administration for its efforts to rein in the predatory trade-school industry and to the New York Times for supporting the Obama administration and urging it to do more. Editorial. Reining In Predatory Schools. New York Times, April 17, 2014, p. A20. 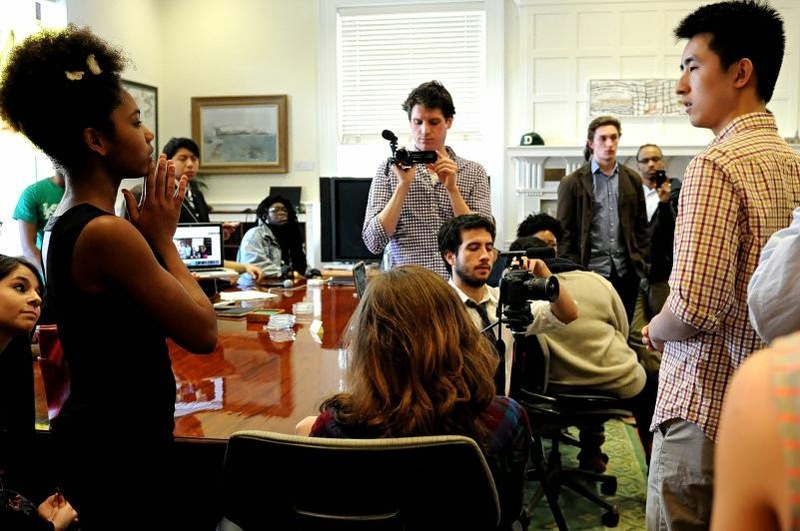 Dartmouth students staged a takeover of the Dartmouth College president's office recently, protesting a variety of isms: racism, sexism, heterosexism, ableism, and another ism I can't recall right now. Will they be disciplined in any way? Probably not. This is the kind of event that drives Bill O'Reilly crazy, but I'm not going to comment on the insanity of this incident. I think it is enough to say that Dartmouth is one of the most politically correct institutions on earth. It is totally incomprehensible to me why students who are privileged to attend Dartmouth--a thoroughly liberal-minded institution--would behave so irrationally. 1. The inmates are running the asylum. First, as the Dartmouth president's office takeover shows, the inmates are running the asylum. It is the students at our nation's elitist colleges that get to lecture to the professors--not the other way around. I understand one of the participants in the Dartmouth takeover was a freshman who had only attended Dartmouth for a few months. Yet he felt himself entitled to condemn Dartmouth for its allegedly racist culture and practices. And the professors cower in their offices--afraid to express any opinion that would attract the ire of the student thought police. 2. You won't learn anything useful at an elitist college. A college education is supposed to teach people to think rationally, to learn how to solve problems and to gain a broad understanding of our civilization's history, art, literature and culture. But as the recent Dartmouth incident illustrates, students aren't learning much of anything at our elitist colleges. I would admire today's college students if they took personal risks to advance social justice in this country. But these Dartmouth students went to the barricades (so to speak) to demand gender-neutral bathrooms! 3. The elitist institutions are deceptive. You would think that our finest colleges and universities would be driven by the search for truth, that they would encourage a free flow of ideas and debate. After all, Harvard's motto--Veritas--is the Latin word for truth. But in fact, our elitist higher education institutions operate in a web of deception and intellectual dishonesty. Our colleges and universities pretend to be open to controversial ideas, but in fact they close their ears to anyone who voices an opinion that contradicts the elitists' postmodern worldview. Ross Douthat made this point in a recent New York Times op ed essay. Our nation's elitist institutions make a pretense of universality, Douthat observed, when in fact they will not tolerate points of view that are contrary to their own. "I can live with the progressivism," Douthat wrote. "It's the lying that gets toxic." Of course our nation has experienced irrational social movements before, and most of them faded away after being subjected to the light of public scrutiny. The Know Nothing Party of the 1850s, the second rising of the Ku Klux Klan in the 1920s, the McCarthyism hysteria of the 1950s--all disappeared within two or three years of their first emergence. But bizarre campus behavior like the recent bedlam at Dartmouth has become embedded in the culture of our elitist colleges. We've seen campus building takeovers, irrational student demands, and anti-intellectual bullying on America's most prestigious universities for more than 40 years. What happened at Dartmouth is not an aberration--it is an example of how our elitist college communities think and behave. So my advice is this--skip the elitist college experience. Get your degree from a respected public university. You might not learn much there either, but at least it will be cheaper. No sensible person should invest a quarter of a million dollars to hang out for four years at a goofball institution like Dartmouth. Ross Douthat. Diversity and Dishonest. New York Times, April 13, 2014, Sunday Review section, page 12. Two stories in today's Times caught my eye. According to a report in the Business section, Larry Ellison, CEO of Oracle, makes $37,692 an hour--that's right, 37 grand an hour. Meanwhile, another Times article told the story of Carol Cascio, a widow, who lives on $900 per month. She had hoped for an additional $400 per month from her deceased husband's pension--which would just be a few seconds of Mr. Ellison's salary--but the pension fund went belly up and she will get nothing. And the disparity is even worse than that. According to the Times story, Ms. Cascio borrowed money to finance her daughter's education. In fact, she was hoping to pay back the loan with the pension money she will not be getting. There's something wrong with a nation in which one American makes three times as much in an hour as another person lives on in a year. And this is taking place in Barack Obama's America--the man who was supposed to bring us hope and change. And yet President Obama spends much more time with people like Mr. Ellison--wealthy people who can make campaign contributions--than people like Carol Cascio, who can do nothing to help Mr. Obama fill the Democratic Party's campaign coffers. At least Ms. Cascio can take bankruptcy, you may be thinking, and discharge the education loan, assuming it has not been paid back. Probably not. Even someone in Ms. Cascio's situation will find it difficult to discharge an educational loan in bankruptcy. In fact, the Department of Education recently opposed bankruptcy discharge for a student-loan debtor who is a paraplegic and only owed $14,000! That's right, President Obama's Department of Education wanted the young man who is paralyzed from the neck down to sign up for a 25-year repayment plan. Fortunately, a federal bankruptcy judge was a bit more compassionate than the Department of Education and discharged this poor man's education loan. We should think long and hard about the nation we have become--a nation in which wealthy pet owners call themselves "pet parents" and buy toys for their dogs to stimulate their pets' brains; a nation in which our leading and most respected newspaper printed a story about the new fashion trend in which wealthy women groom their public hair; a nation in which millions of people living on the boundary of poverty have college loans they can't pay back. The people who run our country--President Obama's arrogant, power obsessed Ivy League bureaucrats; the media elite; and corporate oligarchs like Oracle's Larry Ellison--actually believe they are smarter and more sensitive than the average American holding down a job and raising a family. But the people who run our country are nothing more than self-absorbed children who grab for all the power, money and recognition they can get while millions of decent Americans suffer economic hardship--hardship that grows worse with each passing day. The people who run our country believe they are liberal; they believe they are sensitive; they believe they are progressive. But all it means to be a liberal in today's America is to vote the Democratic ticket, watch Jon Stewart on television, and show a proper degree of scorn toward the smucks who didn't get in one the action--perhaps a smuck like you who borrowed money to get a college education and don't make enough money to pay back your loans. Peter Eavis. Invasion of the Supersalaries. New York Times, April 13, 2014, Business Section, p. 1. David Hochman. You'll Go Far My Pet. New York Times, April 13 2014, Sunday Styles Section, p. 1. Myhre v. United States Department of Education, 503 B.R. 698 (Bkrtcy Rep. Wis. 2013). Mary Williams Walsh, Thought Secure, Pooled Pensions Teeter and Fall. New York Times, April 13, 2014, p. 1. Inside Higher Education reported today that the default rate for Parent PLUS loans has nearly tripled since 2006. According to the Department of Education's most recent report, the three-year default rate on these loans is 5.1 percent. In 2006, the PLUS loan default rate was only 1.8 percent. The higher PLUS loan default rate doesn't sound too bad when compared to the overall student-loan three-year default rate--about 14 percent, according to DOE's report last October. But let's look at the PLUS Loan default rate for parents of students attending for-profit colleges--13.3 percent! That's a scary number. And keep in mind that parents are not required to begin making loan payments until their children complete their studies. If a student takes six years to graduate (which is typical) or enrolls for graduate studies, the parent is not obligated to make loan payments until those studies are complete. Meanwhile, the interest is accruing on those loans--making them more difficult to repay. Some institutional players--the Historically Black Colleges and Universities, in particular, are protesting recent efforts by DOE to tighten loan standards for PLUS loans. They say that making it more difficult for parents to borrow money for their children to attend college will disproportionately effect African American families and make it more difficult for African Americans to attend college. But the HBCUs are primarily thinking about themselves, don't you think? They don't want the feds to reduce the flow of federal student-aid dollars by making it harder for parents to take out PLUS loans. A number of people commented on today's Inside Higher Education article, and it is clear to me that many of the commentators know a lot about the PLUS loan issue. But as of this morning, not a single commentator pointed out that PLUS loans, like all federally-sponsored student loans cannot be discharged in bankruptcy unless the parents can show "undue hardship." In other words, parents who borrow money under the PLUS program don't have reasonable access to the bankruptcy courts if they run into financial trouble caused by illness or the loss of a job. 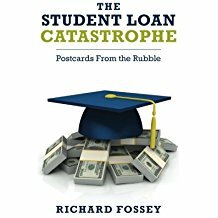 Thus, if their children get in over their heads by borrowing more money than they can pay back, both the student and the parents will be saddled with a debt that cannot be discharged in bankruptcy absent very unusual circumstances. The higher education industry's discussions about the federal student loan crisis has an Alice in Wonderland quality about it. The colleges and universities--whether public, private, for-profit or HBCUs--are primarily interested in keeping that federal student aid money flowing. They are like crack addicts--addicted to federal money just to keep their doors open. We should be making every effort to keep college costs from continuing to rise. We should discourage parents from taking out personal loans to pay for their children's education. 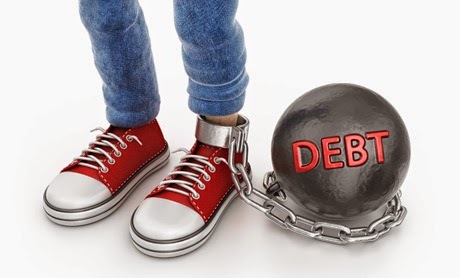 And--this is very important--we should amend the Bankruptcy Code to allow overburdened student loan debtors to discharge their debts in bankruptcy, whether they are students or the parents of students.